In most cases, our desire to advance our career and/or launch our business is not entirely selfish. We have families to support, parents to make proud, and people we want to help. We also want to earn enough to create the life we want, but that’s usually not the sole motivator. But during growth phases, whether you’re making moves toward a promotion, launching a new product, or scaling your small business, there are times when you’re going to need to think of yourself. 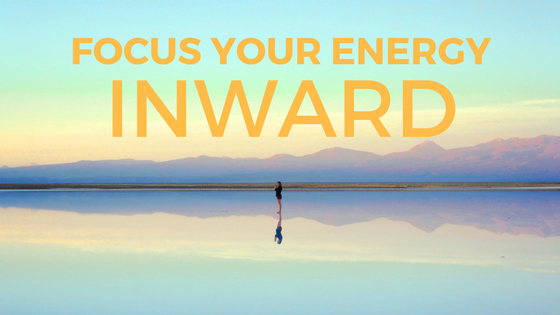 Spending too much time focusing on the needs of others will negatively impact you, and in turn, your career. If you’re working every night, you may want to come home and also do the laundry, cook dinner, or clean the house. You may think that’s what you and your family needs to balance out all the late nights, but what your family needs, more than your helping hands, is your presence. And your presence won’t be all that enjoyable for them if you’re wound tight from too much focus on everyone and everything else. When we gave up our office space at the end of 2016 and I transitioned back to working from home, I set high expectations for myself. I was going to work out every day at lunch, do laundry during the day, and get dinner on the table every night. I was going to do SO much during the day so that I could be 100% present for my family when they got back from work and school. For a while, I did do those things, but my stress levels began increasing dramatically and my moods plummeted. I began to resenting working from home and the expectations that came with that, even though the only person with those expectations was myself. I also have a tendency to fill every free moment with projects. If a meeting or conference call is cancelled, I immediately hop into my inbox and start to chip away. If I’m traveling for work, I use the hours on the plane to get a jump on projects. Every given free moment was immediately taken by work, and it was making me miserable. Now, instead, I’ll take that time for myself. Meeting cancelled? Great, I can do some yoga or take the dog for a walk. Have a long flight? That means reading time! Finish everything on my to-do list early? I can catch up with a friend over coffee before it’s time to pick up my son from school. Career advancement can be all-consuming. You wake up thinking about your job, you do your job all day, then you come home and are still thinking about your job. You put the needs of your career first, followed by the needs of your family, leaving no room for your own needs. And while our society calls this normal and shames us for doing anything solely for ourselves, know that it is detrimental to not only our health, but our career and family life, too. 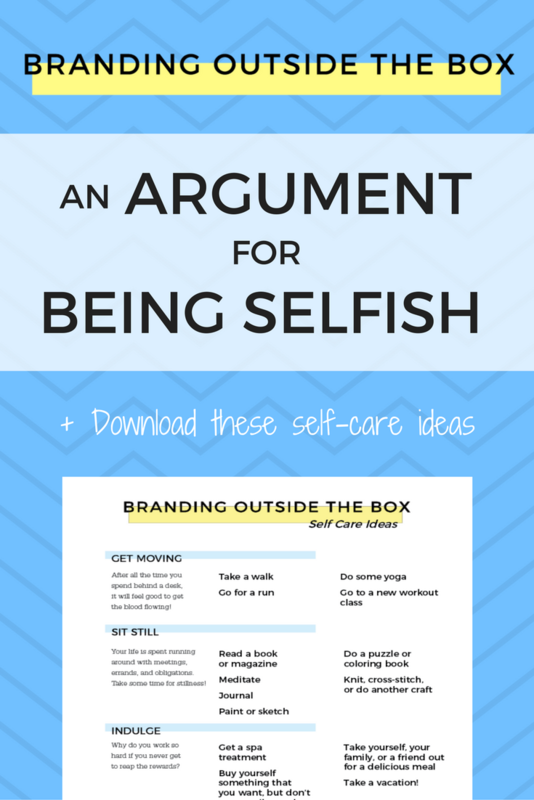 This blog post is meant to give you permission to be a little selfish. The stolen moments in your life can be used exclusively by you. It’s okay to leave the dishes or the laundry and go take a walk. It’s okay to sometimes kick off at 4pm to get a haircut or a massage or a mani/pedi. And if your hard work is paying off, don’t just dump that bonus or extra income into your savings account or retirement fund; spend some of it on yourself. After all, you’re the one who’s been burning the midnight oil to create the life you want. Don’t forget to actually live it!